If you buy a new smartphone and didn’t back-up contacts, and you may ask some other friend to share contact details to all of your common friends. To send all the contacts, you have to send the contacts one by one which is really boring and time consuming. But now the world’s most popular instant messaging application WhatsApp now changes this thing, with the latest update to the beta version of the WhatsApp. 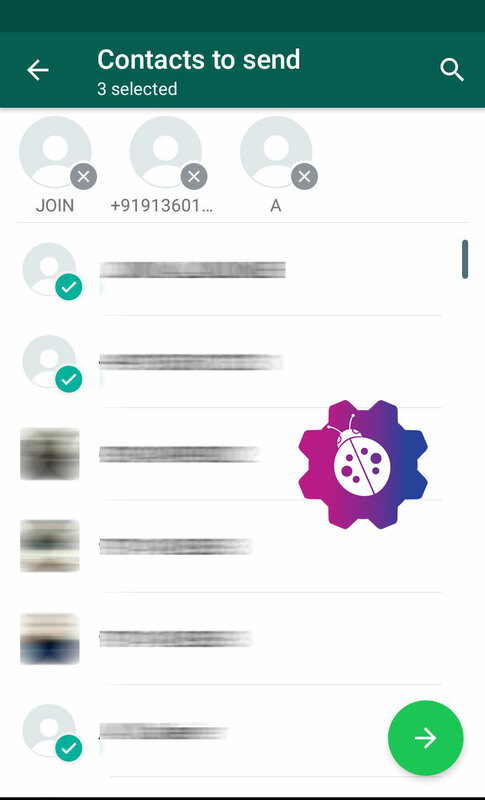 With the update you will able to send multiple contacts in one go, you can get the new feature in v2.17.123. The sending process of contacts is as simple as you attach photo, you can several contacts by tapping on it and send the details in one go. If you want to get the feature right now, then head to the link and sign up to the beta version. Also check out our article on WhatsApp beta updated for Android and now it supports GIFs from Gboard. And many other interesting news and tips & tricks on our website.